The BIRKENSTOCK Rio is a classic kids’ shoe. Designed back in the 1970s, it has been a laid-back summer companion for generations of children ever since. The sandal has been stylishly reinterpreted with an all-over Mickey Mouse pattern. The black-and-white Mickey Mouse heads in different sizes are the height of fashion and form a camouflage-like pattern. 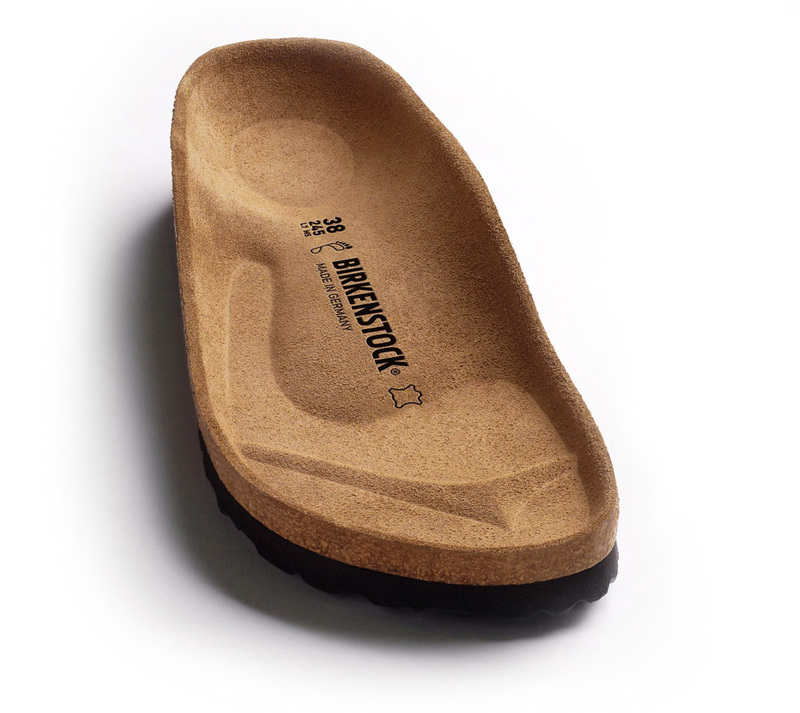 This successful model – with its anatomically formed original BIRKENSTOCK cork-latex footbed – boasts two adjustment options. Thanks to individually adjustable metal buckles, two straps – one in the ankle/heel area and one over the instep – help ensure that the shoe is a perfect fit for every foot and that it supports active kids with every step they take. The upper is made of skin-friendly, easy-clean Birko-Flor®. Thanks to an elaborate coating, the high-quality synthetic material is extremely abrasion-resistant and durable. The underside is fitted with a highly soft and skin-friendly layer of fleece and therefore cozies up to the skin. Gaps on the sides ensure that kids’ feet get plenty of fresh air on hot days. The ultra lightweight EVA sole is flexible. The classic BIRKENSTOCK bone profile has been reduced in size, enabling an optimum rolling motion for kids’ feet.